Buying a foreclosed home can be a great way to save money. It is, however, very different from the process involved with buying a more traditional property. Before you get ready to talk to the bank, make sure you consider these ten factors below. They’ll help you decide if buying a foreclosed home is right for you and, perhaps more importantly, prepare you for all the difficulties that you may face between finding the property and taking possession of it. While every real estate agent is ready and willing to help you buy a home, not every agent wants to deal with buying a foreclosed home. The process can be long and difficult, and the payoff can be minimal compared to that of another property. It’s usually best to work with an attorney who deals with foreclosures regularly and knows how to guide you through the purchase. You may need to jump through a few hoops while you are buying a foreclosed home. Before you begin negotiations, you’ll need to make sure that you are pre-approved for a mortgage in the amount of the foreclosed property. You may have to go through a slightly more strenuous vetting process to get a loan on a foreclosed property, so be prepared. While negotiations might be a tried and true part of the home buying process, it’s not something you’ll be dealing with when buying a foreclosed home. Outside of a few very rare circumstances, the listed price is exactly what you’ll have to pay. Logically, this makes sense – the bank is trying to recoup a specific amount of money, and it certainly won’t go any lower than that amount. This is something with which you’ll have to deal if you wish to buy a foreclosed home. When you are buying a foreclosed home, try to go through the same steps that you’d go through with any other property. While you don’t have room to negotiate, you need to know whether the home is worth the money the bank is asking you to pay. A good inspection that looks at the structure, plumbing, and electrical systems will allow you to determine if the foreclosure is worth the asked-for price. While inspections are good, they’re there to tell you what you’ll have to live with if you do buy the home. 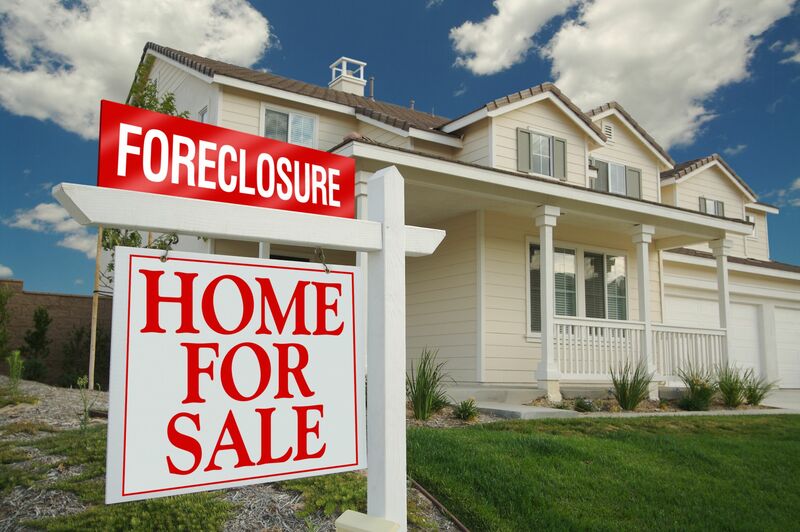 You won’t get to negotiate for repairs when you buy a foreclosure because the home is as-is. The bank is looking to recoup money, so they will go after a buyer who is willing to take the house as it stands. Make sure you are willing to put up with the damage that’s already present before you buy the property. While it’s possible to get a foreclosure for less at an auction, it’s also harder for non-professionals. Unless you have a great deal of cash on-hand, you’ll probably need to work with the bank. Not only is this generally easier, but it’s a safer bet for those who aren’t in the real estate profession. Don’t trust auctions unless you have gone through the process of buying a foreclosed home before. As the economy improves and the foreclosure market shrinks, you should expect to see a great deal of competition when you move on a foreclosure. Generally speaking, you need to be prepared to make an offer sooner rather than later. Even waiting a day or two could cause you to lose out on a great deal. While you should always be careful, you should be aware that there are others waiting in the wings. In some states, homeowners have a certain amount of time to pay the bank and retain ownership of their property even after a foreclosure. While you will rarely have to deal with this if you are going through the process with a bank, it’s still something for which you should look out. Think of this as a worst-case scenario, albeit one that will cost you time rather than money. An owner who redeems his or her property will cause you to lose out on your chance to move. Some of the biggest problems you’ll have with a foreclosure have nothing to do with the bank and much more to do with the former owners. It is entirely possible that you may have to deal with owners who refuse to leave their homes, in which case the burden will be on you as the new owner to evict them. Even if they leave, you should be on the lookout for vandalism. Some people can’t accept the fact that they’ll have to move on. Despite all of this, the savings involved in buying a foreclosure can still be spectacular. Whether you’re looking for an investment or for a home in which you can live, you should be trying to find a home that’s around eighty percent of its market value less the cost of repairs. While there’s certainly better and worse deals out there, the crux of the issue should surround your ability to save money. Buying a foreclosure is one of the best ways to get into your dream home. Buying a foreclosure isn’t always easy, but it may be worthwhile. Be prepared to take all of the issues above into account and always go in with the knowledge that the process may be more complicated than buying a standard home. If you can deal with all the possible problems and you are willing to jump through a few extra hoops, you may be able to purchase a very valuable home for a fraction of its typical price. Those who are willing to put in the extra work will be rewarded with the kind of property of which they have only dreamed.